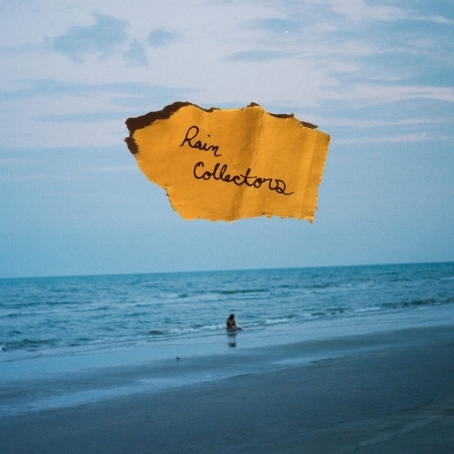 In new track “Unless” by Rain Collectors, a simple guitar melody leads us across a bright and calm landscape. The cello, however, soon glides in beneath and we sink into a more wistful state. Vocals by duo singer/songwriter Santiago Dietche and vocalist Blair Robbins are sensual, yearning. A keyboard trails, dreamlike among the cymbals and Gary Calhoun James’ walking bass; like wandering through the memory of a past relationship, or coming aware that a present one is fading, there is a sense of comfortable resignation. With one earphone in my right ear, and the other shared with you, in your left, we walk together through a night that will not last, with “Unless” soundtracking our melancholy stroll. Give “Unless” a listen below, especially if you’re nursing a slightly nostalgic mood like I was this weekend or, if you’re in a more upbeat place, head to their Bandcamp, where I was also pleased to hear the more upbeat new track by them, “Lock The Door” released on Sunday.